Eye in the Sky is a film directed by Gavin Hood (Ender's Game) based off of a screenplay by Guy Hibbert. The movie features acting performances by Helen Mirren, Aaron Paul, Alan Rickman, Barkhad Abdi, Phoebe Fox, Ebby Weyime, Babou Ceesay, Richard McCabe, Jeremy Northam, Monica Dolan, Kim Englebrecht, Lex King, and Iain Glen. 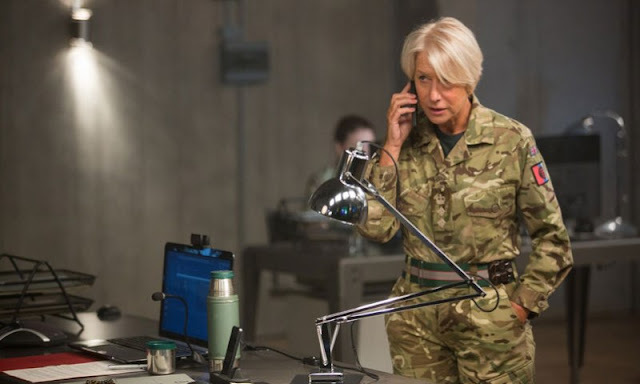 Colonel Katherine Powell (Mirren) of the British military has been tracking down high level targets in east Africa for some time. A few leads have put several key targets together in one location and what started out as a capture mission has now escalated to one that, if effective, will have much more swift and decisive consequences. As the stakes are raised to a critical level, the mission becomes an ideological debate between super powers and the bigger question becomes who is willing to take on the responsibility for an action that could lead to a political and public relations nightmare if not executed perfectly. I hadn't heard much about this movie other than seeing the trailer so I wasn't real sure of what to expect. 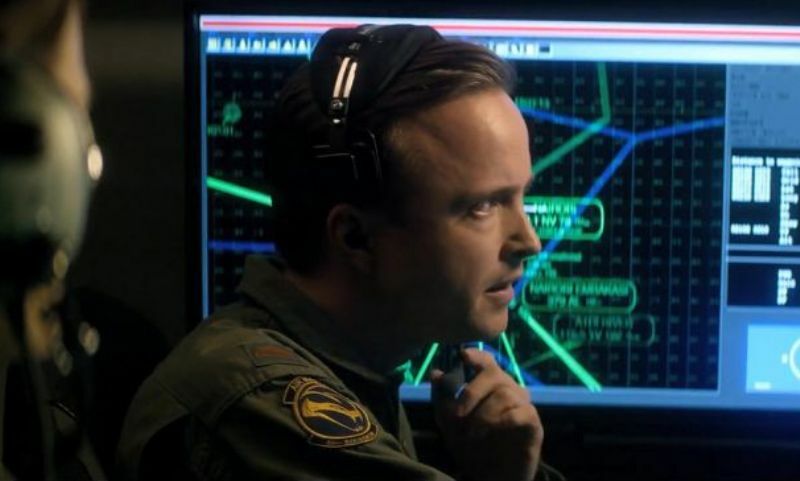 It turns out the film is a very well made and intense modern warfare thriller complete with cutting edge military technology and what the moral implications of using them are. It was very interesting to see how a military operation can be controlled from thousands of miles away while politicians and military officers debate and argue over who is responsible. Gavin Hood does a great job of weaving together a story that takes place over several continents with a cast of characters filled out by a very respectable cast. One of the more entertaining aspects of the film is the interaction between Helen Mirren and Alan Rickman, even though they are never in the same room at the same time. They are each in complete control of every scene they are in and, when they do get to communicate with each other, you can just feel the energy kick up a notch. In a smaller, supporting role, Barkhad Abdi once again shows why his breakout performance in Captain Phillips received so much acclaim and attention. 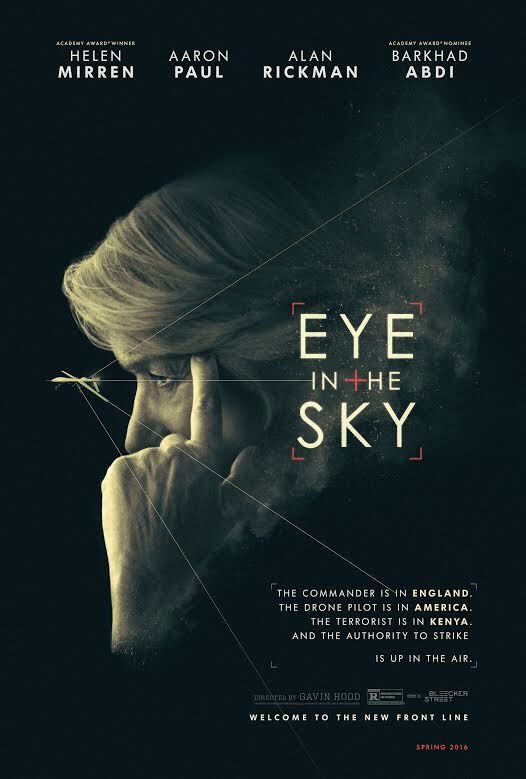 Eye in the Sky is an intense chess match of a film that doesn't play any games when it comes to modern warfare. 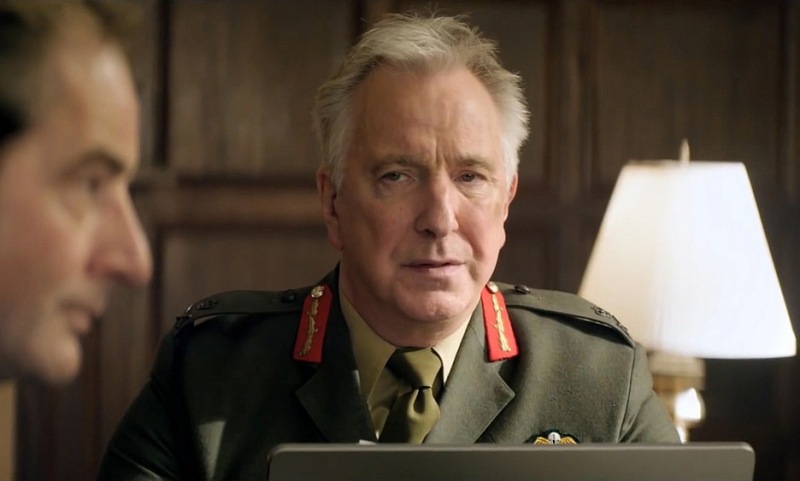 This movie also represents the final time we will see the legendary Alan Rickman in a motion picture and that should be reason enough to want to see it. That being said, this is a very entertaining movie that I would definitely recommend to anyone.